Amy Poster – Member of the Hedge Fund Association Regulatory & Government Advisory Board. The Hedge Fund Association (“HFA”), a global nonprofit trade and nonpartisan lobbying organization, announces it has added three female leaders including FINalternatives Publisher Deirdre Brennan as UK Regional Chapter Director; C&A Consulting Director Amy Poster to the Regulatory & Government Advisory Board and HFA High-Net-Worth Chair and The Rudin Group CEO April Rudin to the Board of Directors. To recognize the female trio’s additions the HFA is offering a complimentary six month membership to all female hedge fund professionals worldwide including managers, investors and industry service providers. Rudin, HFA’s High-Net-Worth Chairwoman, was elected to HFA’s Board of Directors in February for a two-year term. She will continue to work alongside fellow leaders to develop educational programs and initiatives focused on affluent investors and hedge fund managers. Rudin founded The Rudin Group in November 2009, an UHNW/HNW financial services marketing firm to help companies including family offices, wealth managers and hedge funds create and execute multi-channel marketing strategies. 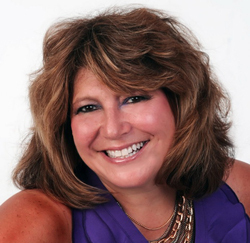 She began her career at Kelly Services where she initiated and led global technology programs and marketing. 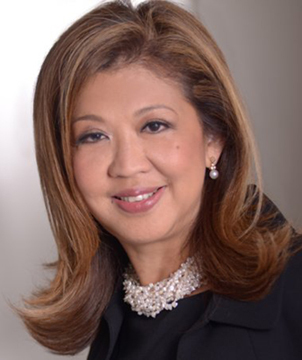 She has been HFA’s High-Net-Worth Advisory Board Chairwoman since December 2012. Brennan, who was appointed this month, will lead the HFA in the UK, producing local educational and networking events. Brennan founded FINalternatives in 2005 as the premier, independent source for news on the alternative investment industry. FINalternatives is delivered to 50,000 subscribers each business day, making it the most widely read publication focusing on the hedge fund community. Prior to founding FINalternatives, she was an editor at Institutional Investor News, where she developed a series of online newsletters including Hedge Fund Daily. Originally from Cambridge, Massachusetts, she earned a BA in English and Journalism from Pepperdine University in Malibu, California and an MA in International Affairs from Columbia University (SIPA) in New York. She currently resides in London. 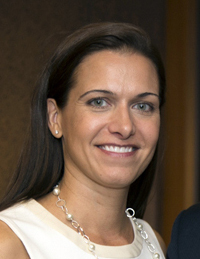 April Rudin – High-Net Worth Advisory Board Chairperson and Global Board Member of the Hedge Fund Association. Poster, also appointed this month, will work alongside fellow HFA Regulatory & Government Advisory Board members to educate lawmakers and regulators about hedge funds. Poster was previously a Senior Policy Advisor at the US Department of Treasury’s Office of the Special Inspector General-TARP (SIGTARP), where she was responsible for developing the US Treasury’s Public Private Investment Program (PPIP). Prior to her role at SIGTARP, she spent more than 15 years at four top tier investment banks including Credit Suisse; Donaldson, Lufkin, and Jenrette; Bear Stearns and Lehman Brothers. Deirdre Brennan – Regional Director of the Hedge Fund Association UK Chapter.